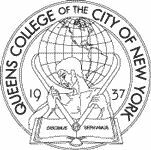 In 1989 Queens College launched a pilot project with the goal of creating a model, which would ease the devastating effects of homelessness on children. The problem had reached vast proportions. New York City alone had at least 10,000 homeless youngsters, with more than 700 families living in temporary housing in Queens County. Today the number of homeless children in New York is even greater. The program, now completing its twelfth year, is a simple one. A college student is paired with a youngster who is either homeless or otherwise "at risk, and together they spend every Saturday throughout the academic year participating in a wide variety of mutually chosen educational, cultural and recreational activities. 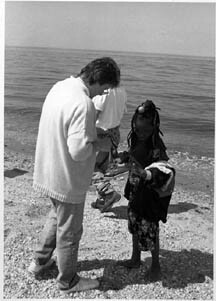 In developing the program we were aware that "at risk" children had a need for an adult, in addition to their parent, to provide stability, consistency and support. "Students at risk," wrote the New York Times," need to know that someone cares about them and their education. Formal monitoring programs enhance their sense of self worth." The Queens College program addresses both the related affective and cognitive needs of these children, by providing them with a mentor who serves as friend, educational and cultural guide, confidant and role model. While the program is designed primarily to enrich the lives of the "at risk" youngsters, ancillary goals are to broaden the awareness and sensitivity of the Queens College community to the plight of homelessness in our midst, and to provide the college students, as part of their education, an opportunity to enhance their own growth by working closely and supportively with a child in need. Every Saturday the youngster and his/her Big Buddy go off and do something exciting together, either just the two of them or in small groups. In addition, several times throughout the year all the children and their mentors come together for special events: hiking in Harriman State park, Ice skating at Rockefeller Center, visiting the Liberty Science Museum, watching a home-run at a Met baseball game, and the highlight, a two day, overnight experience at the Queens College Environmental Center at Caumsett State Park. Queens College students who serve as mentors in the Big Buddy Program are enrolled in an official Queens College course and receive three credits each semester. They are given a small stipend each week to cover carfare expenses, write a detail journal of their work each week, and are supported by two coordinators, both administrators in the New York City school system, who are on-site each week and provide the necessary guidance and assistance to the Big Buddies. Since its inception the Big Buddy program has had a tremendous impact on the lives of the children involved. All this has occurred because of the dedication and hard work of the Queens College Big Buddies. We are always looking for new mentors to continue this vitally important endeavor. If your are interested and think you have the "right stuff" to help youngsters going through a difficult time in their lives, call Dr. Salz at (718) 997-5338. Big Buddy Application: print out a copy and bring to the Department of Elementary and Early Childhood Education, in Modular 4 (Near Library) Give application to the secretary. We will contact you for an interview.